The Community Foundation for Livingston County has awarded $15,000 in support of a sculpture to be created in honor of the late Howell resident, Duane Zemper. The sculpture will be placed at the Howell Carnegie District Library in downtown Howell. After a nationwide request for proposal, the sculpture team of Colin & Kristine Poole of Santa Fe, New Mexico was chosen to create the sculpture. The Pooles are nationally-renowned and have family and roots in Livingston County. The husband-and-wife team have numerous accomplishments, including corporate commissions for such notable clients as the National Audubon society, The Nature Conservancy, PBS, the US Postal Service and others. Always proud to be a Howell Rotarian and his 66-year perfect attendance record, his Rotary pin will be on his sweater. Duane Zemper’s preservation of photographs taken by his predecessors and those he took throughout his career have recorded the area’s history for future generations. He was a photographer in WWII before moving to Howell in 1946, where he was an active community member until his death in 2016. He was a founding member of the Howell Athletic Boosters and was named Citizen of the Year by the Howell Area Chamber of Commerce in 1976. The goal of the committee is to have the sculpture completed and installed by the end of 2018. 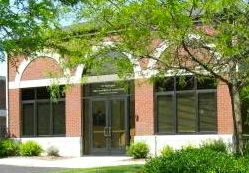 The Community Foundation for Livingston County has awarded nearly $800,000 through more than 145 grants to support and improve the public well-being and quality of life in the areas of neighborhood and regional economic development, human services, the arts, civic affairs, education, health, and the environment in Livingston County. The Community Foundation for Livingston County is an affiliate of the Community Foundation for Southeast Michigan. For more information visit, www.cflivingston.org. Contributions by both individuals and corporations are still being sought for the Duane Zemper Legacy Project. For complete information and to make a donation go to www.zemplegacy.org.